Marian Guerra is a leader in the political and activist communities. Specifically, she is the communications director for New York City council member Margaret Chin and a part of Asian American Millennials Unite. In our current social and political climate, she emphasizes the importance of organizing within communities for systemic reform and concrete change. Guerra may be humble, crediting and providing exposure to other influential women of color, but her extensive knowledge and professional background speaks for itself. She is undoubtedly a source of inspiration for those same women and more. In this spotlight, we learn more about Guerra’s experience in public service and how we can participate in politics, advocating for ourselves and those in our communities. You are no stranger when it comes to the world of politics. Can you tell us about your roles in Asian American Millennials Unite (AAMUnite) and Margaret Chin's office? Maybe not so much a stranger anymore, but I firmly believe I'm in the phase where I'm still learning, still absorbing, and definitely growing! Out of college, I had the awesome opportunity to work for a progressive candidate training organization called The New American Leaders Project, which grooms grassroots immigrant advocates to run for elected office and dares leaders right now to not "just get angry, get elected." This year, I moved on to an opportunity that allows me to implement those skills and learnings in local government. I work for Council Member Margaret Chin, the first Asian American woman in New York City Council, as her Communications Director. As a lifelong activist, Margaret is one of the fiercest, toughest advocates for immigrant communities in New York City government. Before getting elected, she spent 20 years building the Asian electorate and fighting for bilingual ballots until she became the first Chinese American to represent Chinatown in New York City Council in 2010. Her story proves that to empower your community for the long run, you can't take shortcuts - I have the special job of sharing all the great things she has done with the rest of the world. 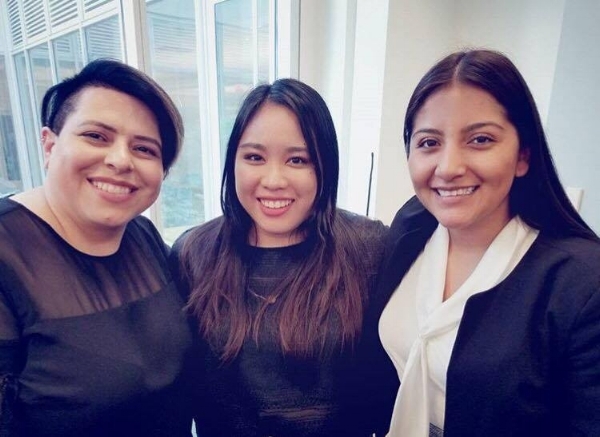 At Asian American Millennials Unite, I collaborate with fellow AAPI (Asian-American Pacific Islander) women who share my passion to uncover the thought leadership of emerging AAPI leaders across the country. Sending my gratitude and admiration to all the members of our team, past and present, especially Helena, Britina, Allegretta, Bonnie, and Kate! We believe that the work of AAPI millennials nationwide showcases innovative models of activism and leadership that can inspire other AAPIs to follow after in their own communities. AAMUnite's new campaign Unapologetic Asian does just that. What inspired or propelled you to get involved in politics? I didn't grow up in a traditionally political family, so there was never an "a-ha" moment, sadly. I do know that working for NALP for a few years was integral to the maturation of my political identity. Everyday, I was surrounded by a team of people who tirelessly fight for a future where our government can actually reflect the diversity of the people it represents. They have kept me accountable to my values and motivated me to organize and volunteer outside of my 9-5. I'm incredibly lucky to have had a mentor in Sayu Bhojwani, the driver behind the organization's vision for a mere inclusive democracy. She broke barriers herself as the first NYC Commissioner of Immigrant Affairs during one of the most challenging times for immigrant communities in our country - post 9/11. And the people in whom NALP invests are people who continue to break barriers. They're a testament to the fact that the leadership we need right now are folks with real community-building experience. Just a gentle reminder for those folks yearning to get behind that next political rising star - a catchy tagline won't fight for communities. We need people who've spent years organizing for systemic reform, and even in the face of immense opposition, still persisted and won concrete change. I truly believe that our best representatives are people with track records of organizing for their communities. These leaders exist in every city and state, but hardly ever get the recognition they deserve. To be able to see more people like them transform our democracy is a future I want to fight for. You are quite active in empowering the Fil-Am community. What does being a first-generation Filipina mean to you? It's embracing the slow, frustrating, and fulfilling journey about your roots and culture with, and through, our fellow first generation Filipinx. 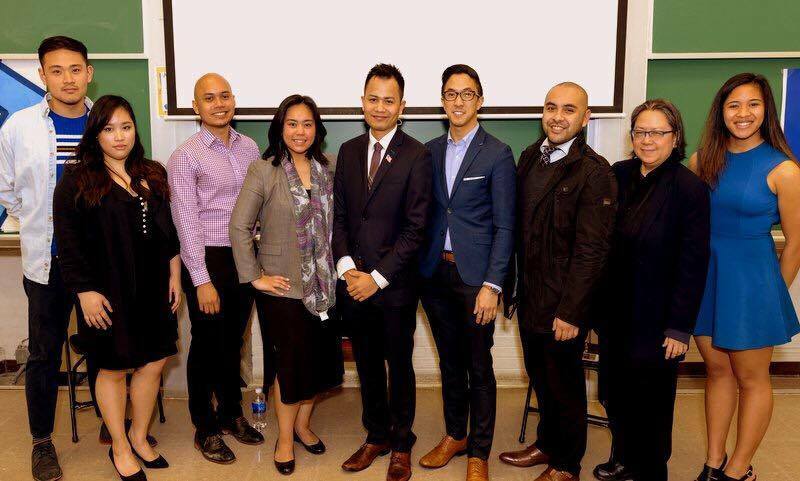 I owe so much to the many youth-led community meetings and forums, rallies, conference calls, dinners and heart to hearts I've been a part of...and all the unsung heroes in our communities committed to connecting young Fil-Ams to their heritage and history. Society often views the asian community as a monolith, often only focusing on east asians. how do you, in your work or personal life, combat the perception that asian means east asians? AAMUnite is powered by a team of pan-Asian women - that's always open to growing to reflect even more pan-Asian voices! Our strategy to combat this perception is to shape the conversation ourselves - by amplifying the voices of leaders throughout the Asian American community. It's also making an intentional commitment to be more inclusive and intersectional. One of the influencers I look up to is Angela Dumalo, who is behind Call Me They. Once lesson they've taught me is to diversify just as intentionally as output. When you consume content - in this case, content about Asian American issues - be mindful of who exactly creates that content. Please share with us a story that continuously motivates you to advance women of color to run for office. Besides breaking barriers to become the first Korean American elected official in San Francisco, Supervisor Jane Kim is just an all around cool human being. Her story continues to remind me why elevating women of color in leadership is so important - though she's achieved so much as an organizer, lawyer, and elected official, she shared once that there are people who've walked into her elected office, looked at her straight in the face, and ask to "meet the Supervisor." That story hit me in the gut. I think every woman of color has their own version of that story. It's mobilized me to continue supporting other women of color in leadership, like Margaret and Sayu. What advice do you have for other women of color who are interested in or are trying to navigate the world of politics, which can seem like a "boys only club?" Find mentors and latch on! Also, you're never too old to have a mentor. These are the people who will not only offer you guidance, but also validate you, re-energize you, and share tools or resources to help you along the way. I'm lucky to know opportunity models who have shown me all that's possible and how to get there. For those who feel isolated, look for opportunity models. This is exactly the work that We, Ceremony does. For some motivation, here's a piece on 3 great Asian American women trailblazing in NYC politics that never fails to inspire me. If you don't have access to a political network or financial resources, don't worry - you're not alone. There are so many free to low-cost trainings geared towards women of color and focus exclusively on helping them overcome the unique barriers they experience. Still not sure where to start? Read this: "A Five-Step Guide to Running for Office." In addition to your commitment to your community, what are some of your other passions? I love to illustrate and create art. I just wish I had more time to do so. Also - it's definitely the Filipina blood - I'm really, really competitive at karaoke. And when I really need to relieve some stress, I go and take dance classes with the insanely talented folks at House of Movement. What does the end of your journey look like? There will always be work to do! I would hope that I'm still in public service. And lastly, one of the questions we ask all of our interviewees - how does your identity translate through your sartorial expression? I think at this point in my life, all I can ask for is a reliable work wardrobe that would allow me to fit in at various kinds of events. While I love playing with workwear, the pieces I opt for have to be functional and versatile. I'm not averse to color, but throughout the years, I've garnered a reputation among friends for a mostly black wardrobe. I'm excited to say that since then, I've grown to incorporate more neutrals. It's a process. I'm okay with this.